1. Do you need surveillance? There are different things to consider when it comes to surveillance solutions: safety, comfort and process optimization. It’s worth noting that these aspects vary depending on whether the solution is for private use or for a company. As the most important factor the safety and security aspect include the protection of buildings, goods and property. Not only because it would be possible to identify criminals but also because just the presence of a surveillance camera can sometimes work as crime deterrent for (potential) criminals. For companies with several buildings, warehouses or other remote properties away from the headquarter or the main office, a surveillance solution is useful for operating efficiently and independently of HQ. As remote surveillance doesn’t require someone to physically be on-site to monitor and control the property, it reduces personnel costs. Further, with devices that support a ‘Multi-view’ feature, it’s even possible to capture multiple events and locations simultaneously. Surveillance cameras can be used to monitor the front of a shop to make sure customers are noticed and served. 2. How will surveillance be used? Beyond security, surveillance can be used to improve efficiencies. Process optimization has different facets: Surveillance can help to get a better overview and idea of how to use your company’s capacities, for example at what time of the day you need more employees in the shop or when you need to stock up your inventory. 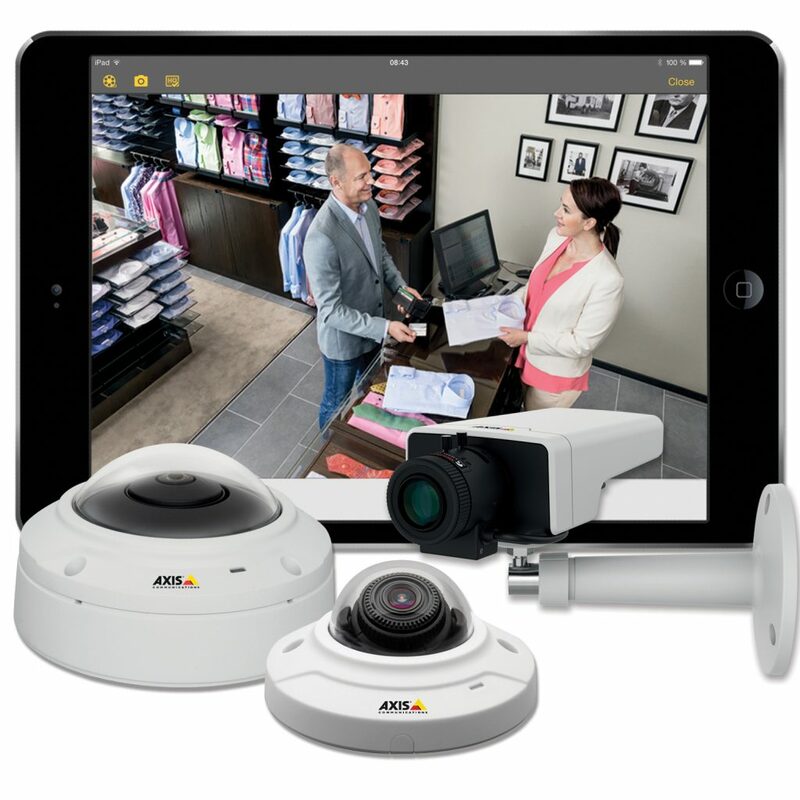 Cameras could also help to run your business more smoothly. Picture a small dress shop where the tailor staff is working in the back. A surveillance system would make it easier to monitor the front of the shop. Video surveillance does not necessarily have to be expensive. There are several products and possibilities in all price ranges that match various needs. As with many things in life you often only realize the value of surveillance when it’s already too late and the damage is done. That’s the hard way to work out the benefits versus the costs. Alternatively, you can also create a very individual cost-benefit calculation which can be based on the initially mentioned factors: For example, how much would it cost to invest in a surveillance system versus how much it would cost to compensate for a committed theft or a burglary. Choose a surveillance system of the latest technology, get expert help and avoid choosing products purely based on price. Avoid grainy looking CCTV style images with expert advice and proper technology. Expert advice and reasonable planning means the system can be adjusted to the customer’s needs to optimize the products purchased. Unfortunately, when an organization decides to set up their own system without expert help, the products often chosen are purely based on price and are often not suitable or simply obsolete. New technology is always being developed, but that doesn’t help much if you use outdated surveillance systems. When you’re looking to install a surveillance system, make sure you choose one of the latest technology. Another important aspect is proper planning alongside setting it up correctly from a legal and technical perspective. The technology we’re using today is better than ever before, for example more powerful recorders, better storage options, etc. Therefore, the recordings are of great quality if adjusted to the right settings. The company’s level of expertise. References and experiences of other clients of the respective company. Trust your gut feeling: If the company doesn’t appear competent enough, better look for another one. There are different solutions that ensure a customer friendly operation and maintenance, even if you are not a technical expert. For example, with an AXIS Companion system, you get assistance through an intuitive interface, important help windows and auto configurations. Alternatively, we offer pre-configuration and technical support. Regular maintenance and testing from time to time is usually enough to ensure that the system runs smoothly. Turning some attention to known sources of error, such as malfunctioning hardware, network problems or the configuration of the camera systems, can help prevent errors and to correct them quickly. If there is a problem with the system, the first thing you should do is call and inform the installer of your system for advice on next steps. You can also call a specialist or the service provider to get the problem resolved as quick as possible. 7. What else is needed to ensure full security? Depending on your application, a guard can never be replaced one by one by a camera. However, with a good video surveillance, you can minimize the number of security guards you need to employ full time. If no one is watching the recording, there are functions such as the motion alarm, which only triggers certain movements. Storage is becoming cheaper and cheaper nowadays, which makes longer recording periods less of a problem. While the security guard can report events only based on his memory (which can fade or distort over a certain amount of time), a video can be reviewed several times.